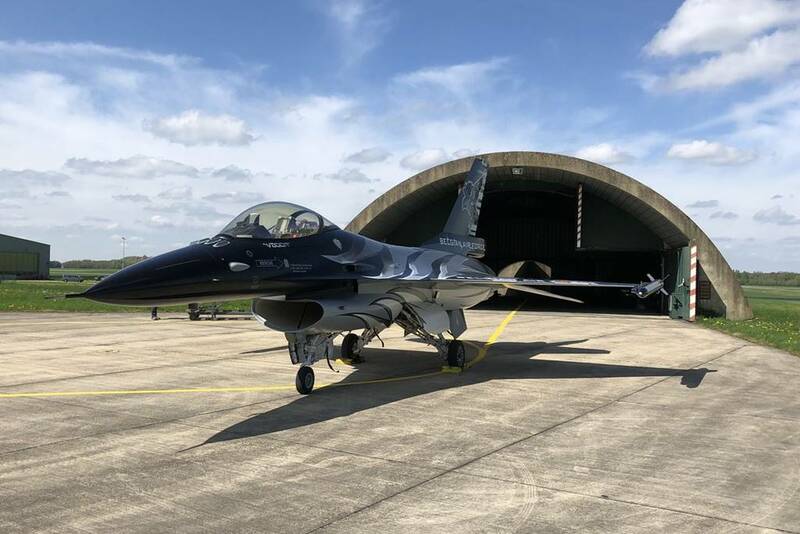 The Belgian F-16 Solo Display has released some interesting details about the new demo pilot and the new aircraft. The Belgian Air Force F-16 Solo Display has revealed the name of the new demo pilot on its Facebook page: the Senior Captain Stefan Darte 'Vador' will fly the Viper for the next three years. According to the post, Vador has already started to work hard to develop a completely new demonstration. For nearly 10 full minutes, he will perform a series of maneuvers in a quick succession. 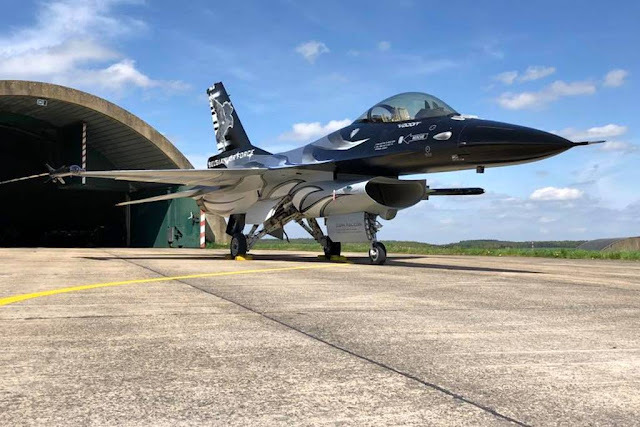 Vador will represent the skills and abilities of the Belgian Air Force personnel and Units with a breathtaking aerobatic performance during the next airshow seasons. "I started my initial training a few weeks ago. It all started by designing my routine and practicing it in the flight sim. My routine has been validated and I've been flying it a couple of time with a minimum altitude of 5.000 feet. As from next week , if the Belgian weather allows I will be granted to lower the training altitude to progressively descent to 500 feet, the Airshow minima. In parallel I've been assigned the tail number FA101 as Demo Jet. The new design is awesome and will be very impressive. 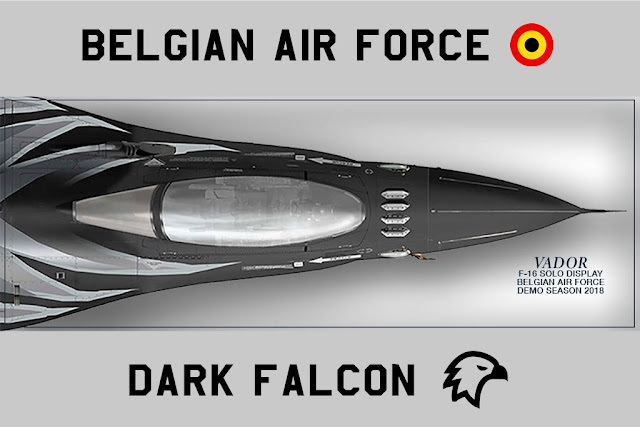 We decided to give the name of "Dark Falcon" to this new bird because of its paint scheme, my call sign and the fact that we are reaching 40 years of Fighting Falcon in the Belgian Air Force, quite a milestone to celebrate!," Vador said. 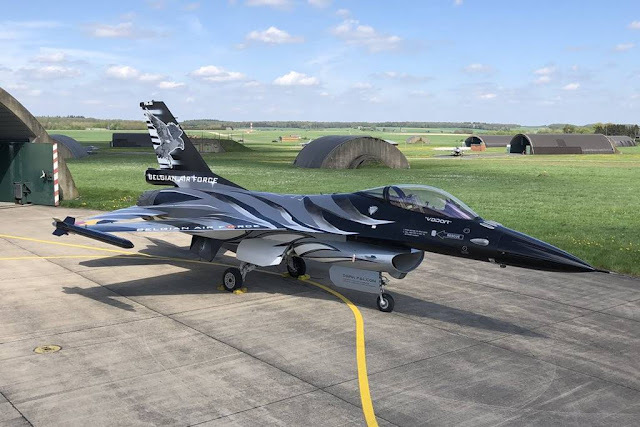 In addition, the Team posted a draft of the new livery for its F-16. It shows the front of the plane with a black background color and light gray stylized feathers above. The preview promises well, now the audience will have to wait for the official presentation of the aircraft planned for April 23. On April 23, the Belgian Air Force unveiled the special painted aircraft assigned to the Belgian F-16 Solo Display. Enjoy a preview of the amazing Dark Falcon jet! You may also like THREE YEARS GIZMO!